Our 2019 Royal Caribbean trip planning guide includes all the tips you need for a vacation, whether you’re a first-timer or regular cruiser. This blog post was written to help anyone cruising in 2019 save time and money, as well as get a good sense of the intriguing onboard activities, where to eat, and fully plan your next Royal Caribbean cruise. It may come as a surprise to first-time cruisers just how much goes into planning a cruise vacation.Sure, you can plop yourself at the pool everyday and call that a great break, but in reality, Royal Caribbean offers its guests so many great things to see and do that it can be overwhelming without a plan. There is a ton to know before you take a Royal Caribbean cruise, and while planning requires a bit more time, the payoff is worth it. After taking dozens of Royal Caribbean cruises, we have learned a lot, and try to distill it into something easy to absorb to make your planning easier. Think of this post as "Royal Caribbean 101," with everything organized into the most important considerations of planning a cruise. This page is a jumping off point to give you some background information on each aspect of the cruise, with a ton of links to other blog posts that offer much more detailed information. Without a doubt, Royal Caribbean's biggest change in 2019 will be the launch of its upgraded private island in the Bahamas, Perfect Day at CocoCay. A new pier is scheduled to become operational in January 2019, which means more ships can call on CocoCay since docking at a pier makes it easier for ships to get to the island, instead of relying on tender boats that are subject to weather and sea conditions. 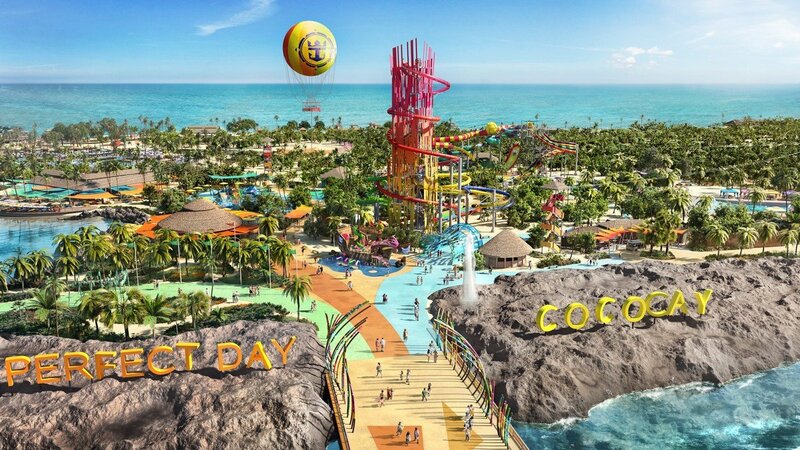 The bulk of Perfect Day at CocoCay's $200 million transformation will occur in May, when a number of new and exciting additions open up for guests. Royal Caribbean is adding a tethered helium balloon, Thrill Waterpark, with the tallest waterslide in North America, Oasis Lagoon freshwater pool, new dining options, Splashaway Bay aquapark and more. 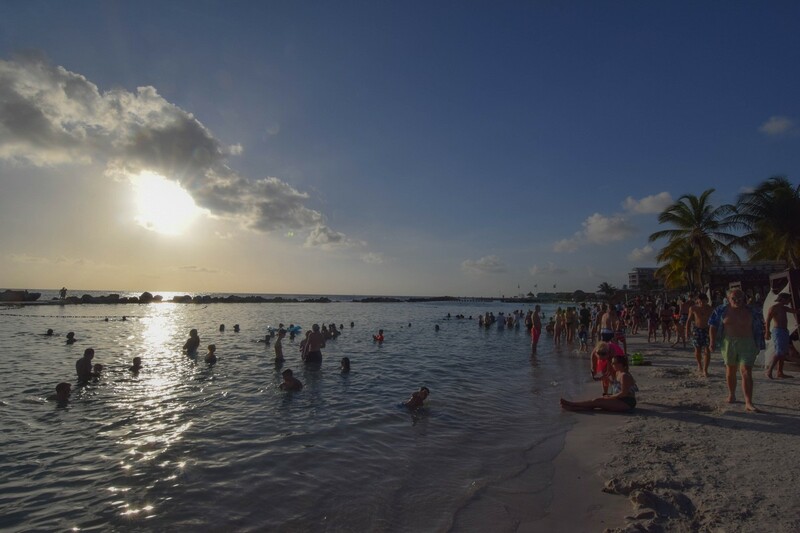 In short, Royal Caribbean is planning for Perfect Day at CocoCay to become an instant hit with families, and the kind of destination you want to visit on any Caribbean sailing. Royal Caribbean will also launch a brand new cruise ship in 2019, its fourth Quantum Class cruise ship, Spectrum of the Seas. Designed specifically for the Chinese market, Spectrum of the Seas will be the largest and most expensive ship in Asia when she sails from Shanghai, China starting in June 2019. Spectrum is scheduled for delivery to Royal Caribbean in April 2019. Speaking of ships, Navigator of the Seas will undergo a $115 million modernization in early 2019 that will add some significant changes, including an awe-inspiring Caribbean poolscape, waterslides, the first blow dry bar at sea, nightlife and dining, and thrilling activities for the whole family. Navigator will get two new waterslides that have never been offered on any other ship. Royal Caribbean also decided to completely reimagine its pool area, with a Caribbean feel. When trying to decide what time of year makes sense for a 2019 cruise, you may be wondering if there is a time of year that is better than another. The time of year you choose to take a Royal Caribbean cruise may be largely dictated by pricing and how the calendar affects the price of a cruise. If you are looking for a cruise during other times of the year, the good news is Royal Caribbean will still run a fair share of promotions to help bring the cost down of its cruise. In fact, Royal Caribbean runs a lot of sales promotions throughout the year that look to spur sales and get folks to book a cruise. If you follow cruise prices over any length of time, you will likely notice a number of different offers. Each offer may focus on discounting one aspect of the cruise fare over another, but the important thing to remember is in most countries, you can re-price up until final payment date in the event the price drops. Residents of the United States, Canada and Australia are free to re-book under new sales promotions until their final payment date with no penalty. In short, there is no bad time of the year to take a Royal Caribbean cruise. Sailings are designed to be entertainment for guests regardless of what the calendar may say. It is important to know that there can be peaks and valleys, in terms of demand and crowds in the ports you will visit, but the cruise experience overall is great year-round. Regardless of when you sail, be sure to put a deposit down as soon as possible. There are certainly promotions and sales throughout the year, but in general, the best prices for cruises will be found when booked as early as you can manage. Cruise fare is determined largely by supply and demand. When an itinerary goes on sale, all the inventory is available, but as rooms start to be reserved, inventory drops and that can coincide with prices rising. Most Royal Caribbean fans will tell you that the best fares they find are those booked one to two years prior to their cruise. The other really good reason to book early is for airfare. Airfare pricing is notoriously in flux, so you want to get an acceptable rate for your air travel in coordination with reserving your cruise. How long should of a cruise to book? How long your cruise should be largely depends upon the kind of trip you are considering. Is this just a quick escape? Or do you want to spend some time to get away from it all? For the first time cruiser, we recommend going with a five to seven night sailing because those three and four night cruises are really, really short and it is hard to really get a sense of what cruising is all about on short sailings. Ultimately, the exact length of your cruise may depend on how much vacation time you have and which ports of call you are interested in visiting. By going with a slightly longer cruise, you will have the opportunity to really explore the ship and enjoy the experience. Shorter cruises go by so quickly and for someone new to cruising, it may not provide enough time on ship or on shore to really get a sense of it all. Moreover, on a per-night basis, the cost of a cruise tends to be cheaper the longer the sailing. Royal Caribbean ships are designed to be destinations rather than just a floating hotel room, so you will want more time to experience it all. We typically find cruises closer to a week in length provide a great balance of value, time and opportunity. It is understandable if you are at the mercy of work or school calendars, which limit how much time your cruise can be. Speaking of vacation time and planning, you will want to pad your cruise vacation with at least one day before your cruise. A very common mistake first timer cruisers make is to arrive the day of the cruise. There are so many travel delays that can occur, so why put your cruise vacation at risk? Veteran cruisers will always fly in at least one day before their cruise leaves and that's to avoid travel nightmares that the airlines are notorious for. Delays, weather and breakdowns happen consistently so don't let those kind of inconveniences cause you to miss your cruise. Getting in a day early will give you plenty of time to get past any travel delays you encounter with the added bonus of beginning your vacation a day earlier! Royal Caribbean has 25 ships to choose between (26 once Spectrum of the Seas launches), some of which are among the largest in the world. The ships vary in size, offerings, and ports of call they will visit. While Royal Caribbean's ships tend to be big, there is enough variation among the different classes of ships to offer everyone a good choice. These ships are not just built to be big, rather, they are built to be large enough to house all the really cool adventures that await you. Looking back to our first way Royal Caribbean differentiates itself, all those innovative activities need to go somewhere and so Royal Caribbean has built its ships bigger and bigger to offer more and more to its guests. If you are worried that the ships might be too big, do not worry. Despite their size, Royal Caribbean designed these ships to be easy to get around. Each of the Oasis class ships has 7 distinct neighborhoods that have their own look and feel. The neighborhood concept makes getting around easier because areas of the ship do not blend into each other. In fact, first timer cruisers might find the largest and newest Royal Caribbean ships to be an ideal pick because they offer the latest innovations, entertainment, technology and choices. Granted, you might live somewhere where getting to an Oasis class ship is not practical or feasible, or you generally prefer smaller ships. There are lots of other great ships in the fleet to consider. First, are the Quantum class ships, which are also quite new but not quite as large as the Oasis class ships. It can be argued that Quantum class ships were designed with first time cruisers in mind. Just like the Oasis class ships, the Quantum class ships offer a number of Royal Caribbean advancements and some of the finest dining and entertainment at sea. The Voyager and Freedom class ships are slightly smaller, but offer an amazing value for large ships. They are also dispersed more widely than their larger cousins, and still offer a lot to see and do onboard. Many Royal Caribbean veterans love the Voyager and Freedom class ships for their well-proportioned size, dining choices and activities onboard. The "sweet spot" of Royal Caribbean pricing tends to fall right in with the Voyager and Freedom class ships because the newer ships have drawn much of the attention, and the other ship's premium pricing means there are some really good deals to be found. Radiance, Vision and Sovereign class ships make up the smallest ships in the fleet, but what they lack in size, they make up for in port variety, great value and beauty onboard. To paraphrase the Jedi Master Yoda, judge not these ships by their size. While they may lack surf simulators and bumper cars, they make up for in classic cruise experience. These smaller ships can get to ports of call that larger ships cannot, as well as offer a more intimate experience in relationship with your fellow guests. Not to mention, these smaller ships also come with a lower price tag! There is absolutely nothing wrong with these ships, but it is worth understanding what these ships offer (and do not offer) onboard when picking the right ship for you. If you are trying to decide between itineraries like eastern or western Mediterranean or a Bahamas cruise or to visit Cozumel or St. Thomas, these are the typical quandaries those new to cruising all go through. For a fist time cruiser, we think it makes the most sense to pick an itinerary that mixes in an even amount of sea days with port days. The reason for this is so that you have ample opportunity to explore the ship as well as the places you visit. We would be remiss if we did not mention cruising to Cuba, since so many cruisers are interested in visiting Cuba. Royal Caribbean cruises to Cuba via two ships, Empress of the Seas and Majesty of the Seas. Both ships are the oldest in the fleet, and the smallest, but they are the only ships that can fit into Cuba's small cruise ports. Moreover, the ports you visit are arguable the draw more than the ship. Both Empress and Majesty have received extensive refurbishments, so they are certainly up to date in their offerings. In terms of those that are new to cruising, I recommend an Oasis- or Quantum-class cruise ship because they offer the most options and seem to match up well with what first time cruisers expect on a cruise ship. Even if you have never taken a cruise before, these two classes of ships offer the kind of gee-whiz features that many first timers read about being on the latest cruise ships. Our recommendation is not to say the rest of the ships in the fleet are anything but excellent choices as well. 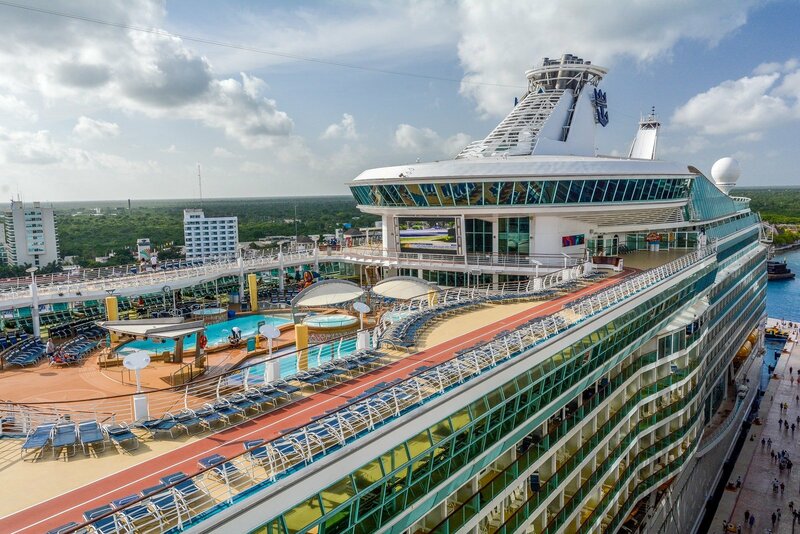 Many Royal Caribbean fans will tell you all about their amazing first cruise on ships like Freedom of the Seas, Enchantment of the Seas or Explorer of the Seas. Royal Caribbean does an amazing job with all of their ships, but the Oasis- and Quantum-class ships offer so much variety and the latest features, that make for great first cruises. When you are ready to make your Royal Caribbean cruise, you can certainly reserve your stateroom via RoyalCaribbean.com, which offers a simple, yet robust means of choosing your ship, stateroom and dining preferences. The best way to find and book the right cruise for you is by using a travel agent. Imagine having someone with a wealth of knowledge about Royal Caribbean that can help you with your particular circumstances, preferences, and needs. That is what a good travel agent provides. It is a back-and-forth dialogue, and they are there to hold your hand and give you personalized advice. If you go this route, look for a travel agent who primarily or exclusively does Royal Caribbean-releated bookings. Travel agents that specialize in Royal Caribbean are often fans of the cruise line too and enjoy planning their own trips and want to share their knowledge with others. When you seek out a travel agent, an agent with great knowledge of Royal Caribbean is critical to helping you have a better cruise experience. Royal Caribbean has spent an incredible amount of time and resources to help educate agents in what Royal Caribbean offers and it all ends up benefiting you. Most travel agents specializing in Royal Caribbean are "no fee" agencies, which means it costs you absolutely nothing extra to book the cruise reservation from them (Royal Caribbean pays the travel agent a commission). Here is one such recommended travel agency that specializes in Royal Caribbean. If you are not convinced using a free travel agency that is recommended by Royal Caribbean is right for you, read our post discussing the benefits they offer. For finding cheap airfare, we recommend ITA Software by Google. You cannot book through ITA, but it’s the most robust airfare search engine out there. It gives you latitude in choosing multiple airports to see if nearby airports might offer better pricing, and allows you to check out a calendar of dates for travel, among other things. If you are not booking a trip for set dates but are willing to travel whenever a deal pops up, another great option is Airfarewatchdog. You can signup for their deal alerts for trips between two cities. We opt for their daily email, which provides listings for the cheapest future airfare to numerous destinations departing out of our home airport. If you have to fly to your cruise, if at all possible, do not book your flight on the same day your cruise leaves to avoid any potential travel delays preventing you from going on your cruise ship. By arriving at your embarkation port (or somewhere else close by), you will ensure any travel delays you encounter will not result in missing the cruise. The last thing you want to do is start your vacation off with the anxiety and panic of worrying what to do because your flight was delays, car broke down or road closures somewhere along the way. Not to mention, it will mean you get to start your vacation a little bit earlier! There is no standard answer for everyone, and your own answer may vary from cruise to cruise. It is important to weigh factors such as convenience, cost, availability and your own comfort level with each option before booking. The good news is most, if not all, of these options are refundable, so you can always change your mind. Whether you are new to cruising or not, what to pack (and not pack) can be quite a challenge. In fact, it might sound hard to believe, butwe hear from a lot of guests that packing anxiety is a major concern. Packing correctly can save you time and money, and improve your overall experience. There is sometimes a great deal of anxiety about trying to understand what to wear on a Royal Caribbean cruise and then packing properly. The good news is cruising these days is a far cry from the "old days" of cruising in the last century when ball gowns and tuxedos with tails and top hats. While there is still formal nights, Royal Caribbean is pretty open about what you can wear throughout the cruise but at dinner time, there's still a few elements of formality left to consider. And for those that don't want to dress up beyond t-shirts and shorts, Royal Caribbean has options for you as well. We have spent a lot of time scouring the internet for various packing lists, packing ideas, (and sometimes divine intervention) to know what is important to bring. Everyone's definition of what is important will vary, but we go over the really important things that no cruise is complete without in this important things to pack for your Royal Caribbean cruise post. There are some objectively important items that everyone needs to have with them on their cruise, or the cruise will not happen. Yes, we did say you should get a passport, because it is the best travel investment you can make. Having a passport safeguards you and your family in the event of a travel emergency overseas. If you were to be stranded outside the country with anything but a passport, it would present a very big problem for you. Instead, get a passport and ensure your family will navigate any situation with the greatest of ease. You might of also heard about dress codes on Royal Caribbean ships, and we are going to share with you a secret about them. You do not have to dress up at all. Dress codes pertain to what guests must wear if they elect to dine in certain restaurants on the ship. Anywhere else, there is no dress code, and that means it is far simpler to prepare for life onboard a ship. It really is up to you how dressed up or not dressed up, you wish to be. The only places you will need to adjust what you wear is in select restaurants. The main dining room has a dress code for every night, which is stipulated in Royal Caribbean's daily newsletter, the Cruise Compass. It varies from casual to formal and applies to dinner only. 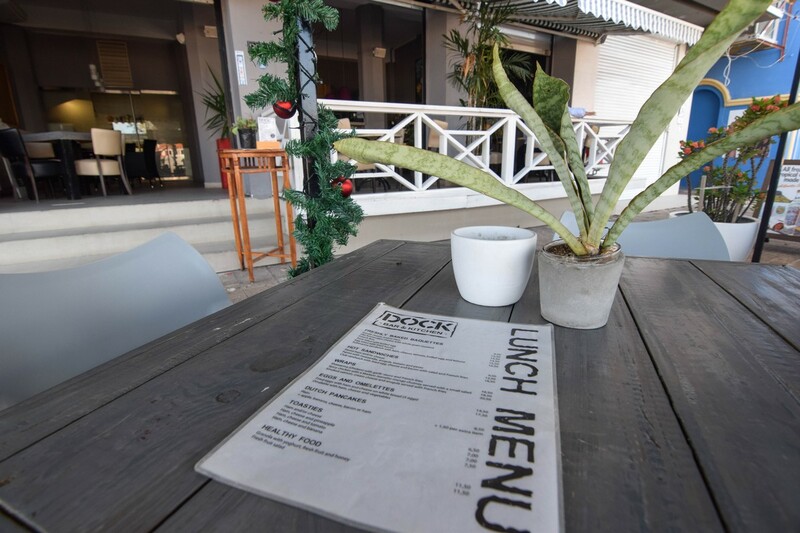 For breakfast and lunch, the main dining room has a less stringent dress code of no swimsuits, hats, tank tops or other pool clothing. The specialty restaurants always have a dress code that falls somewhere between casual and formal that Royal Caribbean calls "smart casual". Royal Caribbean defines it as, "jackets and ties for men, dresses or pantsuits for women. Other complimentary restaurants such as the Windjammer or Cafe Promenade simply require shoes and a shirt. Right after booking a cruise, Royal Caribbean allows guests to register their cruise on their My Cruises section of the Royal Caribbean web site and manage their reservation, with the option of booking dining, entertainment and other purchases prior to the cruise. Often, not all options are available for prebooking and it leaves some guests wondering when they can do it. The best reason to book certain activities, entertainment and dining in advance is to guarantee a spot for you and your family, as well as break up the total cost of the cruise. There is limited capacity for shows, dining and other activities and Royal Caribbean tends to offer guests the option of reserving them prior to their cruise. By booking these activities early, you can ensure you have the time and day that you want all lined up. Royal Caribbean provides a number of options to prebook, but that does not mean you necessarily have to book it prior to stepping onboard. There are, however, some value to pre-purchasing some of these options, provided they are of interest to you. If you are wondering when can you prebook these items, the simple answer is it depends, but eventually, the Cruise Planner will provide anything that can be reserved prior to a cruise. Here are the things you ought to book in advance, assuming you were going to get them to begin with (meaning, do not purchase a drink package if you had no interest in one before). The drink and internet packages available via the Cruise Planner are quite often discounted significantly more than onboard the ship. In fact, the discounts available in the Cruise Planner regularly outperform any savings from booking them onboard. In addition, prebooking means you will split up the total cost of the cruise because payment will be required at the time of booking. If one person in a cabin purchases an unlimited alcohol package, all others in the cabin aged 21 and over must purchase a package. This may or may not be a problem for you, but it is important to be aware of the change. Specialty restaurants are a bit more ambiguous in terms of having an advantage to prebooking. 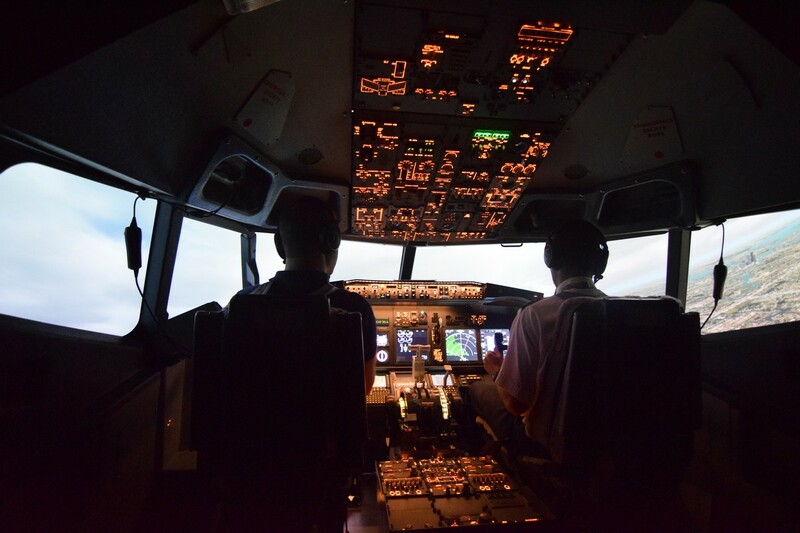 Discounts are far rarer than the drink and internet packages, and availability at specialty restaurants if one chooses to book them onboard is quite large. Unless you have to dine at a particular restaurant, on a particular date and time, then you can wait to get onboard the ship and spend your onboard credit. Anything else available for prebooking presents little to no advantage to booking in advance. In fact, the Vitality Spa treatments are something I do not advocate booking in advance because there are so many spa specials available only onboard that you might be overpaying without first considering those. Shore excursions are also something that is not required to be booked prior to your cruise, unless there is a particular trip that you absolutely want to experience and would be upset if it was filled up, there is little incentive to prepurchase shore excursions. A good reason to wait to book an excursion with Royal Caribbean is to evaluate the weather closer to the date you will actually be there. In short, there are a lot of places to dine while onboard your cruise. If you are hungry during your cruise, then you will not have to go very far to remedy that situation. Royal Caribbean offers a wealth of food to try, some of which is included in your cruise fare and some other options that have an additional cost. When you book your cruise, you will have the option of picking traditional dining or My Time Dining. Each has its benefits, so be sure to compare My Time Dining versus Traditional Dining along side your own preferences to know which option will work the best. Specialty dining is an emerging trend aboard their ships, where guests may elect to pay extra to dine at one of these restaurants. Each specialty restaurant is focused on a particular cuisine or food style that is often not available onboard the ship. In terms of understanding how dining works and which areas cost extra and what is included, check out our guide to Royal Caribbean food as a good starting point. We also have an overview of what's included in your Royal Caribbean cruise fare to lay out exactly what costs extra and what does not. While I do believe you can go an entire cruise without spending a dime on food that is not included with your fare (and be quite content), I do advocate guests try a specialty restaurant or two for the terrific quality and service provided. Specialty dining has become a focal point of the cruise experience, and it is a great way to enhance the cruise experience. Just like opting to go out for dinner instead of cooking dinner at home, a specialty restaurant on Royal Caribbean ships is a fun reward to yourself. To figure out where to eat, you should definitely check out our Royal Caribbean restaurant reviews and Royal Caribbean menus pages. Seriously–good dining can totally make a trip (and bad dining can break a trip), so if you only read more on one topic in this guide, make it dining. There’s a lot to cover, but it’s well worth it. We know a number of people who have had their opinions of a Royal Caribbean cruise changed for the better simply because they “discovered” the right places to eat. There is so much more you can see and do on a Royal Caribbean cruise. Of course, the ports you will visit are a major attraction for any sailing. Swimming, exploring history, learning a new skill, and shopping are just some of the typical activities in most excursions. If we tried to list it all, we would likely come up with a list even longer than this blog post! The key to any good day in port is centered around educating yourself about all the options available, and nuances of the port you are visiting. All too often, we see guests simply disembarking the cruise ship in port and then trying to figure out what to do. The internet is a wealth of information on every port you will visit. 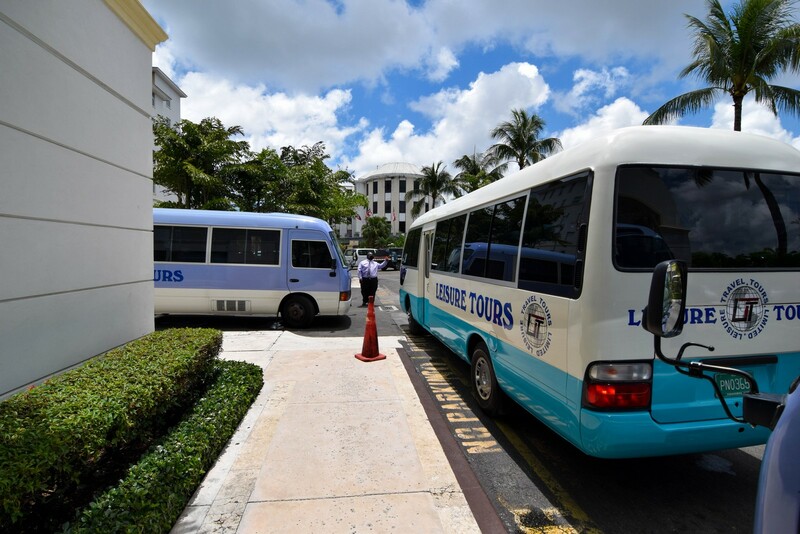 Shore excursions are a major part of any Royal Caribbean cruise because a large part of your overall vacation is exploring the ports of call you will visit. You have just a few hours at each stop, but it should be enough to get a taste of the city you are visiting. Check out our guide to picking the perfect shore excursion, and be on your way to nailing down some great plans in every port of call. Another way to get help (and build anticipation for!) your Royal Caribbean vacation is to join the Royal Caribbean Blog Message Boards. 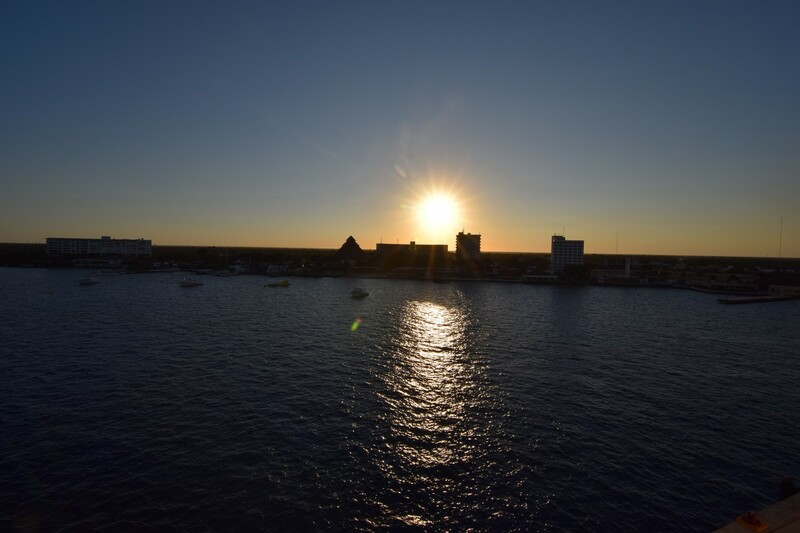 There are a lot of friendly folks who post in the forums, and they can offer their opinions and ideas on all things cruising. Remember, this blog post is just a starting point. You will want to read our Getting Started section for a great array of hand-selected posts that are perfect for someone looking to jump into planning their first cruise. Our First Time Cruisers series of blog posts is also a great primer for someone new to cruising and/or Royal Caribbean. Want to know where to eat? Our Specialty Restaurant reviews will help! These are just a few of many posts mentioned in this article that will provide the foundation for your planning…but these 3 other posts are probably the most important of the bunch! If all of this is still overwhelming or you want personalized recommendations for a Royal Caribbean cruise, click here to get a vacation quote from a no fee travel agent that specializes in Royal Caribbean. Are you taking a Royal Caribbean cruise in 2019 or 2020? If you are a Royal Caribbean veteran, what tips would you add to this? If you’re a first-timer, is there anything else you’d like to know? We love hearing from readers, whether it be questions from newbies or tips from seasoned Royal Caribbean pros with tips of their own to add!